Acidity is very common problem nowadays. Is there anybody who has not faced this problem ever? Believe me. It is rare to find. Improper lifestyle and unhealthy food habits are main cause of this problem. Acidity is also known as heartburn; don’ worry. It is not related to your heart but digestive system. To remain empty Stomach for longer time. Avoid tomatoes, citrus fruits as they are highly acidic and can cause or increase acidity. Don’t eat in excess. Overeating causes to produce more acid for digestion. Avoid chocolates. Really a bad news for chocolate lovers! Excessive consumption of chocolate causes acidity. Avoid too much gap between meals. Curd is very good anti-acidity agent. Take little curd in a bowl, add cold water, salt and a pinch of crushed cumin seeds. Drink this liquid 2-3 times in a day, it will help you to keep away acidity. Cold milk is also beneficial in treatment of acidity. It gives you instant relief as well while Hot milk worsen the problem. 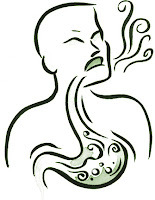 Indian gooseberry or Amla is also very effective in the treatment of heartburn. Taking half glass of Amla juice with two teaspoon sugar in morning, can easily remove your heartburn and indigestion problem. Drink water more in quantity. It reduces heartburn or acidity. Cut banana into small slices and mix it with little sugar. It is very good home remedy for acidity. Eat slowly; slow eating can prevent you from weight gain and heartburn. Normally, when we eat fast, we are tending to eat more. 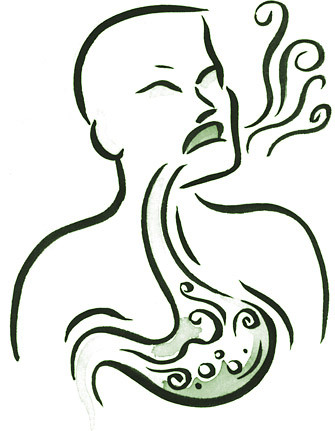 Overeating also causes acidity. Do not drink water during eating food. If can’t avoid, use little water. Raw garlic also cures acidity, but don’t consume it in excess. Banana, figs, papaya and carrot are very useful to get rid of acidity. So add these fruits into your diet. Include yogurt into your daily food. This keeps acidity away. Take Aloe Vera juice with water in 1:2 ratio. It is a very good remedy for heartburn. Drink coconut water daily. It subsidizes the acidity problem. Almonds are also very beneficial in heartburn problem. Dip 2-3 almonds into water every night and eat them at morning. Take 1-2 teaspoons white vinegar after each meal. Vinegar controls the amount of acids in stomach. Consume low-fat foods. It prevents you from heartburn. Yoga, meditation and walking in the morning also help to get rid of acidity problem. These activities tone up entire body system and improve immunity.